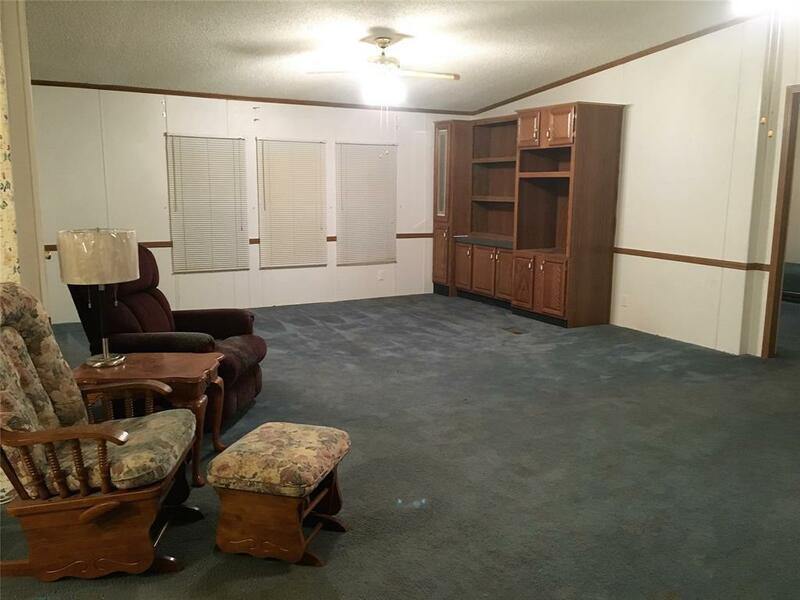 Double Wide manufactured home with additional room added for office or gameroom. 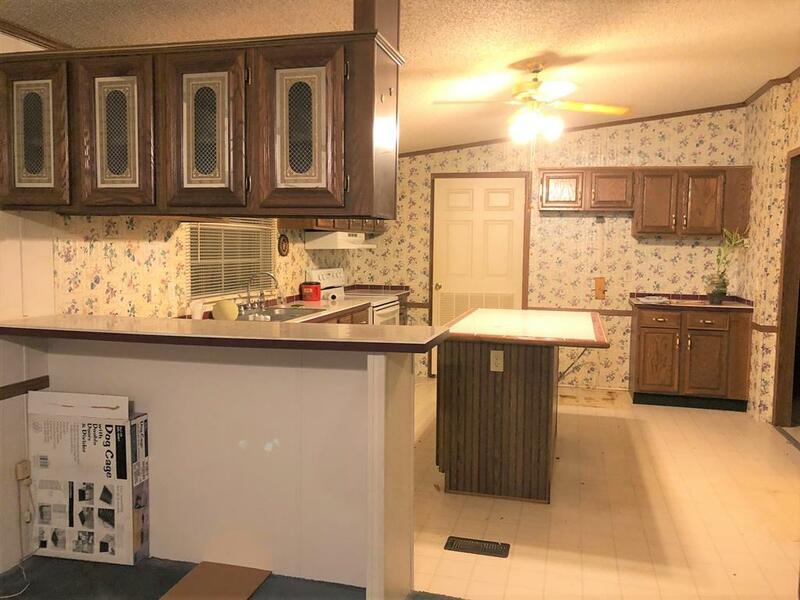 Kitchen has a breakfast bar. Roof is only 1 year old. Metal building for storage. Front and back porch. 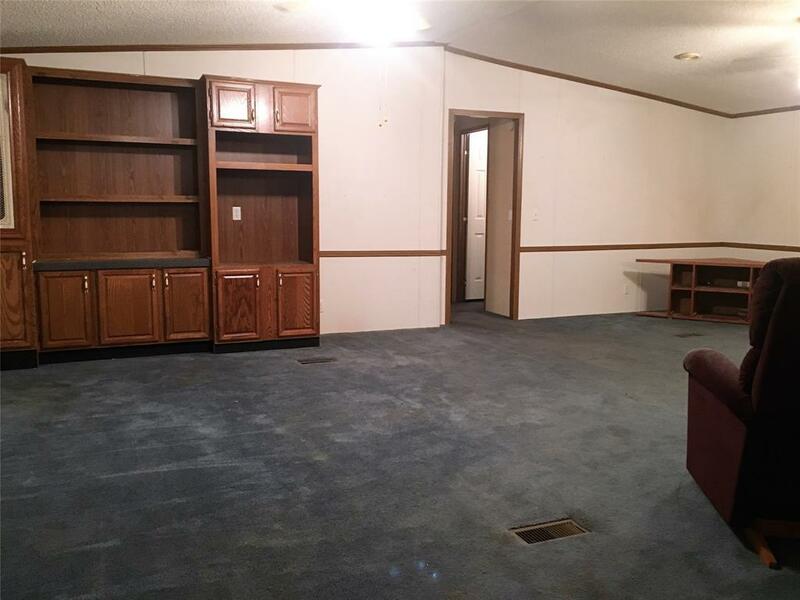 Large master suite with sitting area. 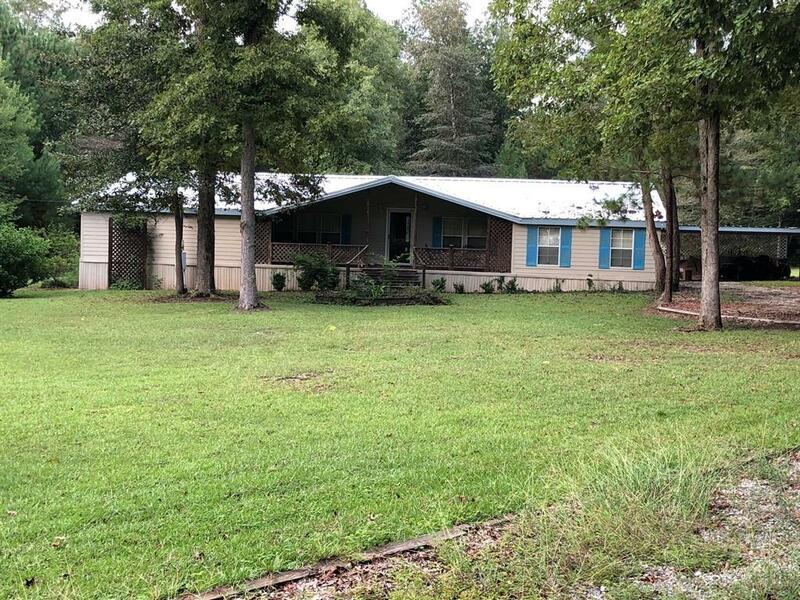 Plus 5 acres of unrestricted land located in the country.